The new book Transformational Groups has opened the eyes of many church leaders to the importance of groups. The book has generated new conversations about groups, and has generated interest in why groups matter. Here are 3 reasons Bible study groups matter to the church. Spiritual transformation takes place in groups. As the book says, “Transformation is a communal experience, not an individual exercise” (p.7). Jesus chose 12 men to disciple, and we know the transformation that took place in their lives. Conversations, questions, and the process of experiencing life together were all instrumental in the spiritual formation of Jesus’ disciples. These same elements are in play today among the members of your group. Doctrine is taught in groups. The unfortunate finding of the research done for Transformational Groups points to the fact that “the majority of pastors and church leaders have no clue what is being studied” (p.63). No pastor would casually relinquish his pulpit each Sunday...he guards the opportunity to share God’s Word. Yet in so many churches today, the content of the teaching in groups has been allowed to drift. 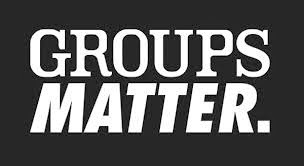 Groups matter because they are the places where doctrine is taught in addition to the doctrine taught in the pulpit. Groups help people grow relational roots. In one of Dr. Thom Rainer’s earlier books, the research showed that if a person’s only connection to a church was through the weekend worship service, 85% of them could no longer be found after 5 years; if a person was involved in a small group of some type, 85% could still be found after 5 years, actively engaged in the life of their church. deciding on curriculum, go to www.groupsmatter.com. Ken Braddy is the Director of Leadership & Adult Publishing at LifeWay Christian Resources, 4:12 Network Member, trainer, and blogger.